Deb Viney rapped our knuckles in an e-mail, highlighting ‘the lack of acknowledgement by the BPS and The Psychologist of graduate members who are not chartered and therefore presumed not to be practising psychologists.’ Deb suggested some interesting non-chartered colleagues to interview and expressed strong feelings about ‘smashing her head against a brick wall’ trying to get a place on a clinical course. Hence I found myself interviewing her, in Bloomsbury, where she works as a diversity adviser. Deb proved forthright in describing her work history and the disappointments of not getting into clinical training, while emphasising her use of psychology in other spheres. ‘I grew up on a Hampshire council estate and was pretty academic – I got good O-levels but no one suggested university, and I wanted to be a nurse. ‘I didn’t even get on the reserve lists for my local courses and I didn’t want to lose my support network, so I couldn’t apply more widely. One feedback letter suggested that my interest in neuropsychology went against me. The gist was “we’re interested in training clinical psychologists, we don’t want people who, afterwards, will go off and do neuropsychology instead”. But the only route into neuropsychology was to complete clinical training, then undertake a specialist course. I got a letter published in The Psychologist about it. I visited Professor J. Graham Beaumont, he agreed to write a supportive letter to The Psychologist.’ So this is a long-term campaign! Deb grinned. ‘I eventually concluded that the courses were looking for applicants interested in psychotherapeutic approaches. I suspect it’s changed now, judging by the neuropsychology posts advertised in The Psychologist. But psychology was, and is still, a divided, rather “tribal” profession. People from the different groups just don’t talk to each other enough, let alone develop multi-interest group research projects. Deb worked to enhance the disability service over the next eight years, the team grew considerably and it developed a national reputation. ‘But I began to mark time. There were two obvious routes out to try: either to seek a Head of Student Services post or to broaden out my specialism in disability into wider equality and diversity work. That’s how I ended up at the School of Oriental and African Studies in London as Diversity Adviser. It’s a fascinating job!’. 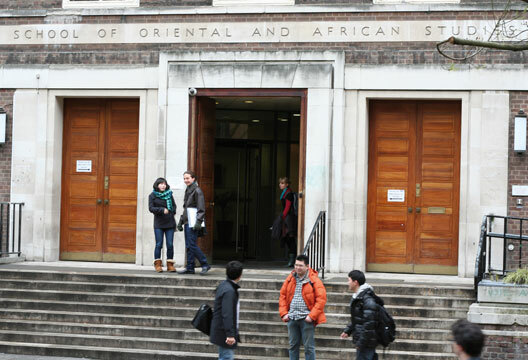 As explained in the other piece in this month’s ‘Careers’, SOAS is a unique organisation, part of the University of London, and its academic staff specialise in Asia, Africa and the Middle East. Over the last few years it has seen a student occupation of an exhibition that Deb organised (a protest on the Israel–Gaza situation) and another occupation of the director’s office over the UK Border Agency’s treatment of some externally contracted cleaning staff who turned out to be illegal migrants. Deb’s job must be interesting, to say the least. In exploring Deb’s suggestions for other interviews, I got unanimous comments that she is energetic, forthright and a skilled networker, qualities she uses in her additional voluntary role on the Executive Board of the National Association of Disability Practitioners, a professional organisation for further and higher education staff supporting disabled students. I walk over to the School of Oriental and African Studies (SOAS) complex after sitting at the café in Russell Square surrounded by tourists, students and a very noisy film crew. The walls display artefacts from, and books on, many different cultures. I get lost in a photographic study of Moslem architecture, then Paul Webley arrives and ushers me into his office. Paul’s a hugely enthusiastic, friendly and honest interviewee. I ask him how he got from there (teaching and researching economic and social psychology) to here (head of a unique institution with Europe’s largest concentration of academic staff concerned with Africa, Asia and the Middle East). Methods: Does measuring people change them?